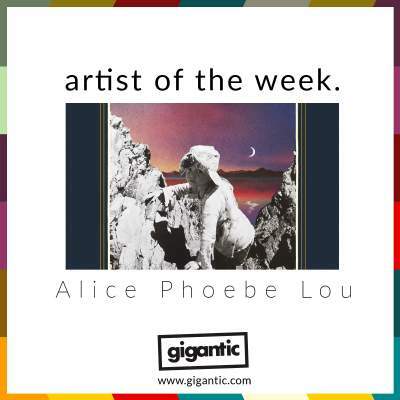 Having journeyed to very different parts of the world at a young age, the disparate sounds of many countries is incorporated into the soul, blues and jazz written by Alice Phoebe Lou, whose independent flair is shown through her refusal to abide to the conventions of each genre. Instead, she confidently searches her own path whilst drawing on the many different styles her past has exposed to her, taking them into captivating new directions and leading us deep into the stories told through the music and her unmistakably unique voice. Born in the South African seaside town of Kommetjie, found at the base of the mountains during the mid-90’s; Alice Phoebe Lou spent her initial years discovering her love of music by pouring through her parent’s old record collection and developed her creative abilities by studying theatre, arts and music at a local Waldorf school. The varied beautiful landscapes that surrounded her would serve as an inspiration, capturing her imagination and curiosity, leading her to wander on journeys of discovery which would later also inspire her music. Aged only sixteen, she went on her very first trip to Europe and travelled to Paris where she began to perform to fund herself and raised the funds to reach as far as Amsterdam. Having returned to South Africa, all efforts were immediately focused on continuing her adventures and Alice soon returned to Europe, now making her way to the creative hub of Berlin where she remained for some time as busker. With just a guitar, a small amp and a trolley, her limited instruments led to the development of her voice and so the restrictions soon served as a catalyst for improving her song writing. Collaborating with producers in both the German capital and in Cape Town, found nearby to her hometown, she self-released her debut EP ‘Momentum’ in which was soon followed by her ‘Live at Grüner Salon’ album. Continuing her travelling over the subsequent two years, Alice then entered into the studio to create what would become her first studio album ‘Orbit’ which contained nine eclectic tracks loosely tied to jazz whilst also tapping into blues and jazz which was a summarisation of all her nomadic experiences until then. Last month has seen the release of her brand-new single ‘Something Holy’ which is taken from her upcoming album ‘Paper Castles’. From its minimalist and intimate start to the gentle side into sublime drum and organ accompaniment before a brief burst of euphoric joy, ‘Something Holy’ feels like the tactile beginning of a new relationship. The physicality of her latest release is also explored through a video masterpiece made with her friends at Manners Studio in Vancouver, Canada. She revealed the stunning new song on her Facebook page just last week, where she divulged the inner meanings to the music; “It's a song about the process of releasing myself from my traumas with intimacy & the discovery of a place within myself where I can love & be loved, give & receive pleasure without the jealousy, possession, pain or guilt that was there before. This first single has certainly raised our expectations for ‘Paper Castles’ which is expected to drop on Friday 8th of March. The following month sees her take to the road to promote the new material with a series of unmissable gigs, tickets are on sale right now. Alice Phoebe Lou tickets are currently available.